Full of inspiration, here we offer you some alternative ideas to the status quo. 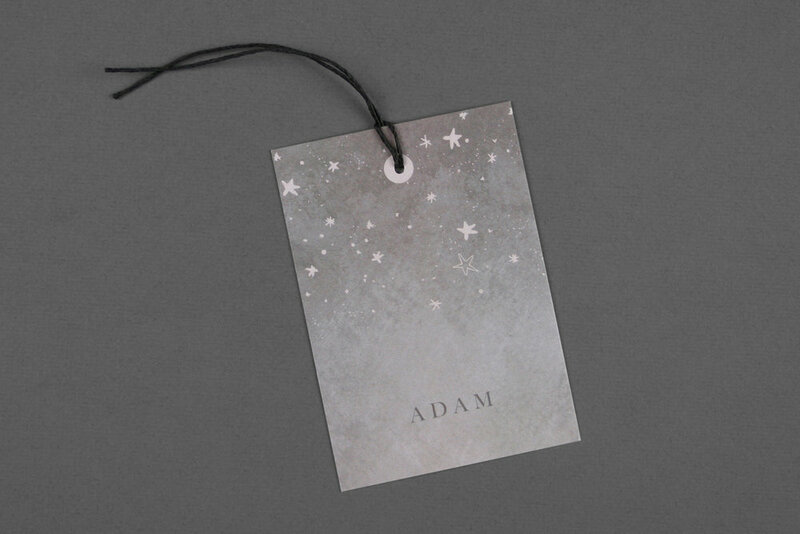 From wax seals and bespoke wax stamps to gorgeous paddle-fans and personalised tags for use with our collation service, the list is endless. We’re also able to print using different coloured foils such as rose gold, gold and silver and have a wide variety of luxury, coloured envelopes for you to pick from, should you require something a little different. 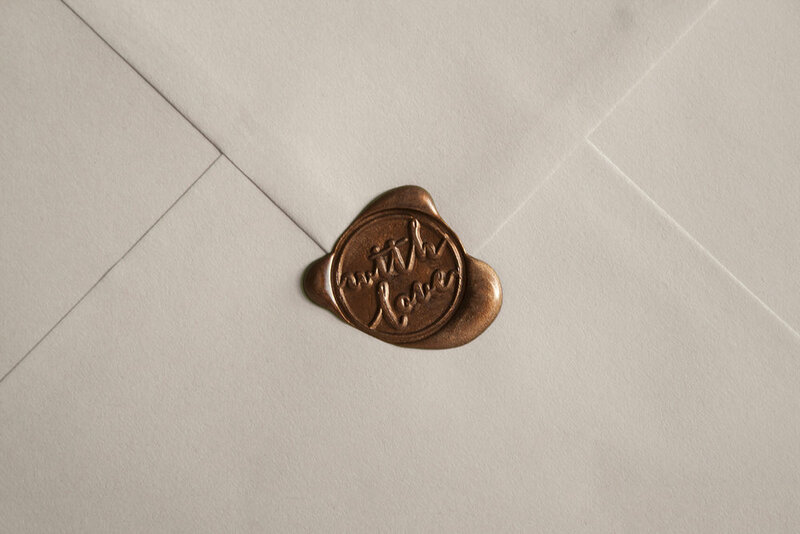 Wax seals look refined and elegant. The special wax comes in a range of colours from metallic bronze and gold to matt black, white or pink. Just ask as about this special service. Foils can be printed onto plain, smooth card to create sophisticated and classy designs. Ask us about how we can incorporate foils into your designs. To save time, why not get us to collate each invitation bundle together for you, so they arrive ready for you to send straight out? 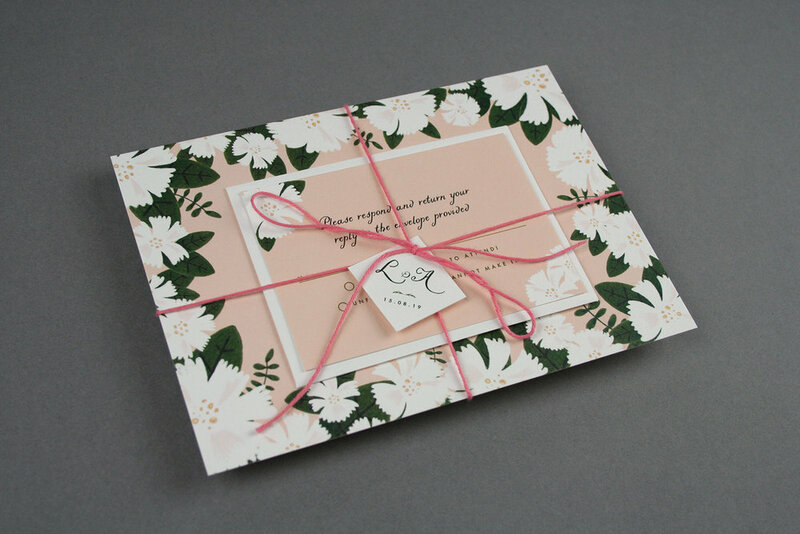 Instead of receiving a pack of each type of item, we’ll carefully place, for example, one invite along with one rsvp card and return envelope and tie these up for you, ready for posting. 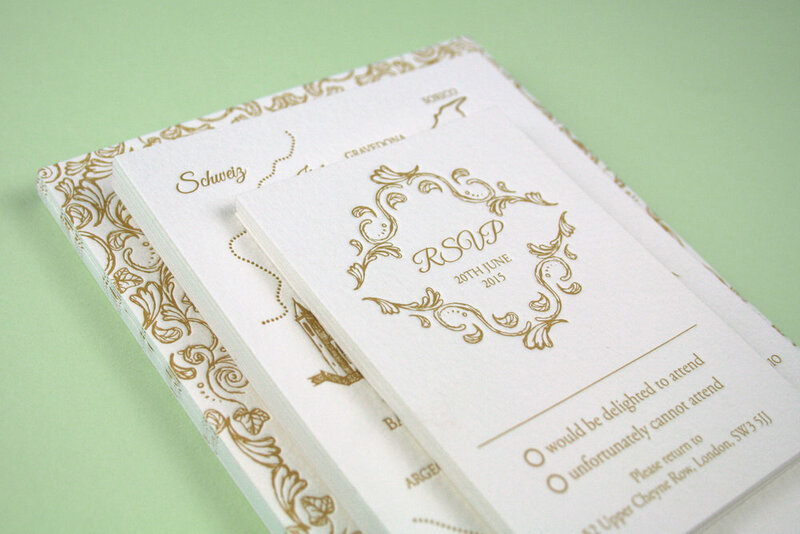 Letterpress printing is the ultimate in luxury. Ink is pressed into thick, luxurious paper, leaving a beautiful indentation. Choose this option if you want the wow factor - it won’t disappoint. If you don’t want a traditional, folded place name, we can create more bespoke items, such as these personalised, luggage tag place names. If you’d like to enquire about any of the ideas shown on this page please get in touch by emailing hello@polkadotstationery.co.uk or using our general enquiries form on the contact page.